This contest has ended. The winner is Jodi G. Please stay tuned for another contest soon. We've been running a series of contests lately and we've already given away an Apple iPad, Dell XPS 16 laptop, an Apple iPod Touch and a Sony Cybershot S2100 Digital Camera to a these winners: Krystle, Theresa, Bonnie, and Linda. Now in this current contest the prize is a brand new Apple iPod Touch 4th Generation. 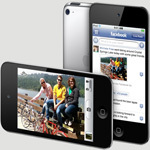 Win a brand-new fourth generation Apple iPod Touch from BestOnlineCoupons.com in our current contest. Entering this contest is easy and free. Just submit a review of a merchant listed on this website to enter the contest. Sumbit reviews of all the stores you are familar with, as each submission is another entry in the contest. Each quality review submitted to this website between October 3, 2010 and November 30, 2010 is an entry into this contest. After November 30, 2010, one review that was submitted during this time period will be randomly selected as the contest winner. Increase your chance of winning by submitting as many reviews as possible. However, you must not review the same merchant multiple times, and you need to keep your reviews as accurate, honest, useful, and thorough as possible. Please review merchants you like, as well as those you have a problem with. Many people complain when there is a problem, but it is also very helpful to fellow shoppers to point out the good and great merchants that are out there. Please be as helpful and detailed as possible in your reviews (pointing out what you liked and didn't like about the merchant and all the relevant details) and only review those stores and services that you have personal experience with. A brand-new Apple iPod Touch 4th generation is the prize in this contest. This new model of iPod Touch features many great advancements from the iPhone 4G including the stunning Retina display, high performance Apple A4 processor, dual cameras, FaceTime, HD video recording, Gyro/Accelerometer, Game Center and more. Even if you already have an iPod, getting this new 4Gen model is well worth it because of all the new features and improved performance. It is easy to submit a review for any merchant we list. To start with search for the store you want to review, and then click the Reviews link for them. You will be taken to a page with coupons and deals for that merchant, where you can then submit your rating and review. After you are done submitting your review, you can repeat these steps again to review other merchants. Submitting an original, complete, accurate and useful review counts as an entry in the contest. Any submission that is SPAM, is not a review, isn't in English or doesn't make any sense will not be published (or will be unpublished once it is noticed.) Any submissions that are not published will not be eligible for the contest. Also, reviews that are too short (i.e. just one line), are copied from any other site (Copyscape will be used to check this), or are determined not to be useful by BestOnlineCoupons.com at its sole discretion will not be eligible to win this contest. If you don't want to wait for the contest to end or if you don't end up winning, perhaps you want to just buy one of the new 4 Gen iPod Touch models. Check out these coupon pages for stores that are selling the iPod Touch: Apple Store, Mac Mall, Best Buy, Target.com, and Newegg.com. Timing. The contest starts at 12:01 AM CST on October 3, 2010. The contest ends at 11:59 PM CST on November 30, 2010. All reviews must be submitted during this time period to qualify as entries into the contest. Selection of Winner. On or about December 1, 2010, one potential winner will be selected by randomly choosing one of the published reviews. If that person and the review meet the elgibility criteria, they will be awarded the prize. If their email address is not valid or they do not respond to the notification within seven (7) days, the prize award will be rescinded. This procedure will be repeated as necessary until there is one (1) eligible winner that has claimed the prize. Prizes. One (1) prize will be awarded. The approximate retail value of the prize is $250. No prize substitution, cash redemption, assignment or transfer of prizes by winner is permitted. We reserve the right to substitute a prize with another prize of equal or greater value. Limit of one prize per person. 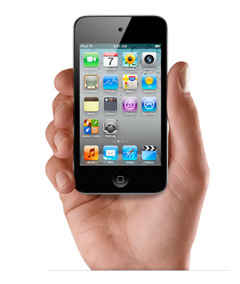 You can win a new 4th generation Apple iPod Touch by submitting reviews of merchants on BestOnlineCoupons.com. However, we like to think that everyone is a winner by using our online coupons website to save on their shopping. We have thousands of promotional codes, special offers, and sales deals that help you save money at some of the best online stores and Internet services every day.